A blog is only a blog if it has a sidebar! That maybe is no longer true, one column layouts for blog posts are a thing for a few years now. Still, you may want to promote additional content, like a special offer, a sign-up form, etc. in a sidebar. Then again, the sidebar is only in the visible part of the page for a few seconds, your visitors will quickly scroll your post up and down and the sidebar is never paid attention to. So how can you have a floating sticky sidebar on your single post layout, on a website running Elementor Pro? Here is very simple approach to get your blog single layout with a sidebar up and running in minutes. The following steps work only if you use Elementor Pro. Create a single post layout using the Elementor theme builder. 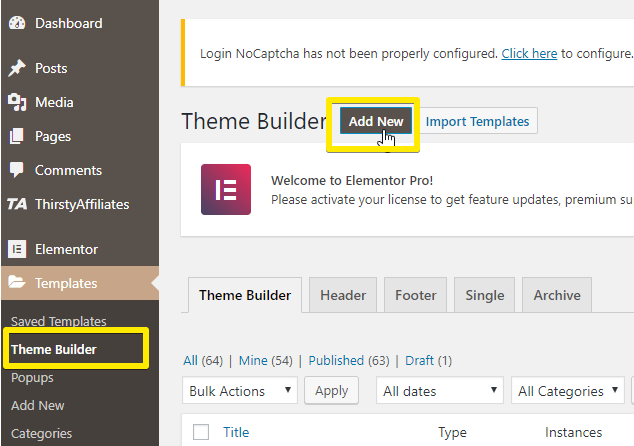 In WordPress dashboard, click Theme Builder > Add New. Next, choose the Single template, Post as Post Type and a type a name for your template. Just pointing this out in case you are unaware of this feature: Theme builder allows to design a template from scratch that exactly fits your needs. To design the single post template is just one of many ways to use the theme builder functionality of Elementor Pro. I.e., here on Fresh van Root.com, the templates for single posts, archive pages for categories and tags, are created using Elementor. For this demo, we will choose the first template provided by Elementor. Don’t have Elementor installed yet? You can also take a look at the provided templates in the official Elementor blog. Now duplicate the column, delete all content within it (but keep the inner section). Then customize the column width to your needs. Now, add all the content you want your floating sidebar to hold. For this demo, we add a few elements to feature our WordPress Kick Start package. Screenshot: My blog sidebar with promotional content. Now the most important step: Enable the sticky property on the inner section of your sidebar column. Why an extra inner section? 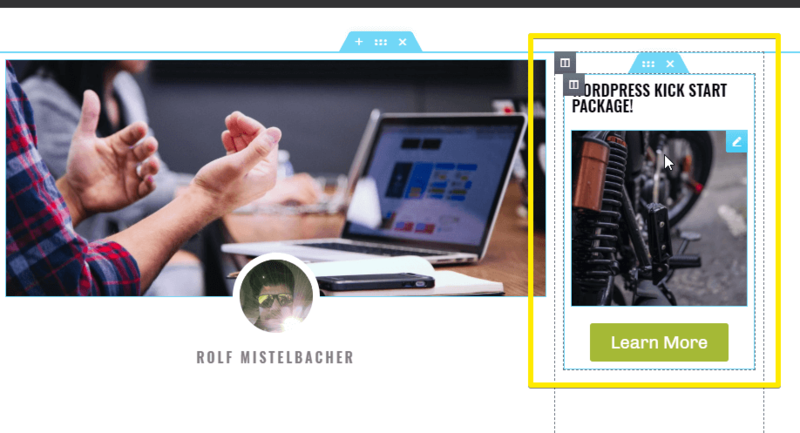 Because you don’t have the sticky property on column level, it is only available on section level or specific elements (you could also make one specific promotional image sticky, instead of a whole inner section). The next step is to decide which posts this template should be used for. That’s again a very powerful Elementor feature: You could create post templates for different use cases, i.e. Click the little arrow next to the green publish button to access display conditions. 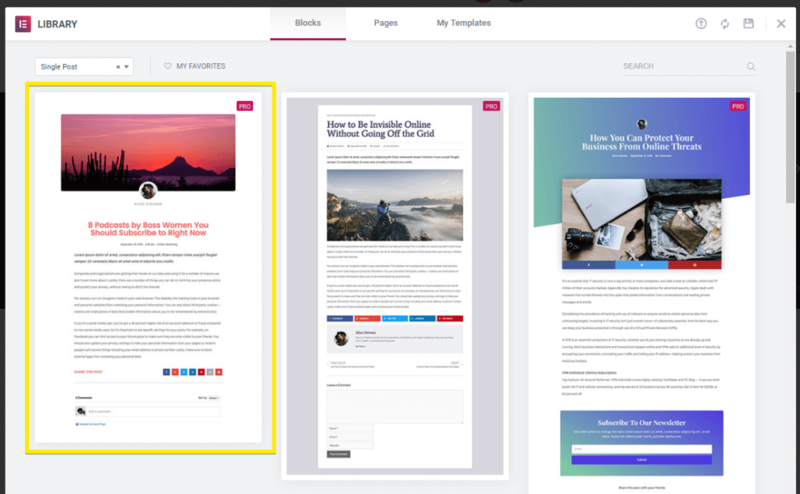 For this example we only want to display the single blog post template with the floating sidebar on posts tagged with GeneratePress. 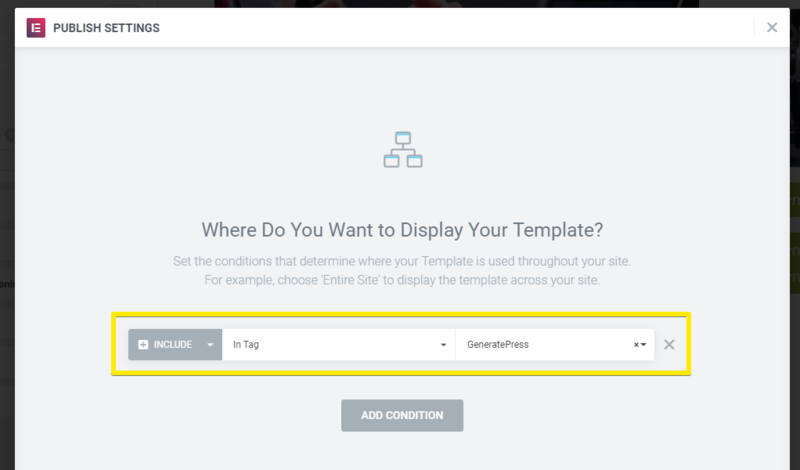 Now publish your template and browse to a blog post meeting your display conditions. The floating sticky sidebar should work! Keep the blog single template unpublished as long as you haven’t finished the design (you don’t want to confuse your readers with a changing blog design). Use the display conditions settings to test your blog layout on a live post (i.e. choose very specific tags to match only one post). 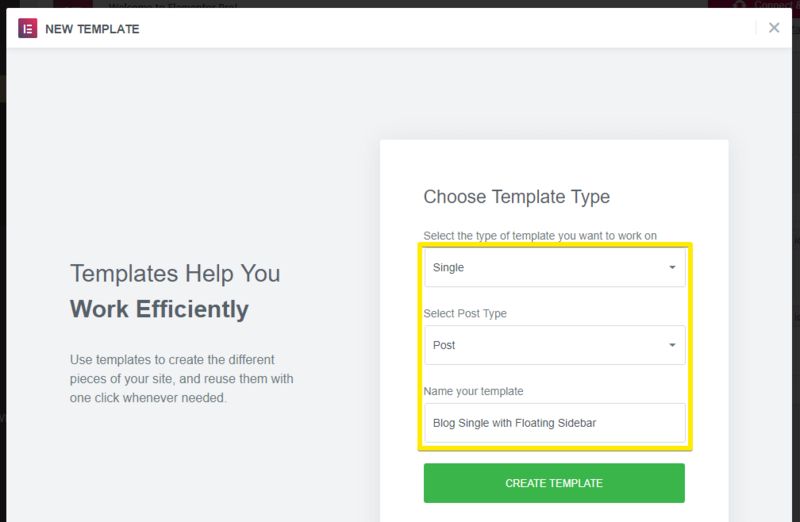 This how-to focused on blog single templates and creating a sticky blog sidebar, but keep in mind you can create a sticky sidebar (or content) on any page created with Elementor, and on any page template, you want! Be cautious of over-using this feature, it makes maintaining your site and content more complicated, and spend extra time configuring and testing the responsive settings. This site is created using Elementor and GeneratePress. We published a few posts about how we did it! In Part 1 we provided insights why we started a redesign of our site in the first place, and what the process looked like. In Part 2, we focused on the GeneratePress theme and how it plays together with Elementor. In Part 3, we focus on Elementor, sharing the learnings made while building this site. Take a short cut, hire us to install WordPress, GeneratePress and Elementor in your account, with content and design!